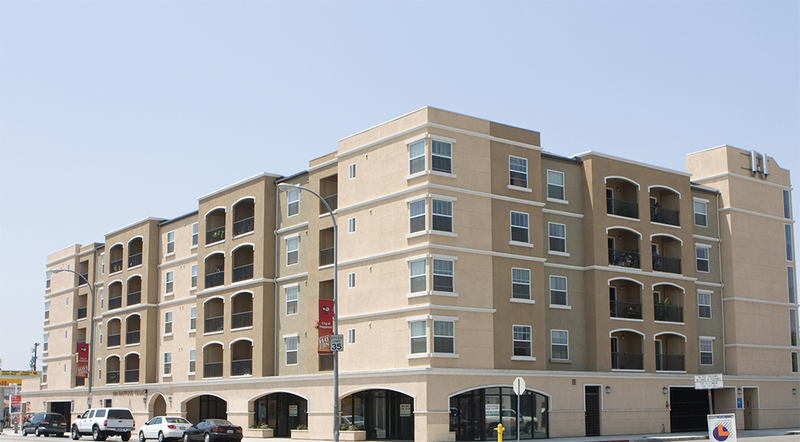 Maywood Villas is a 54-unit senior afford- able housing development with one-and two-bedroom units. 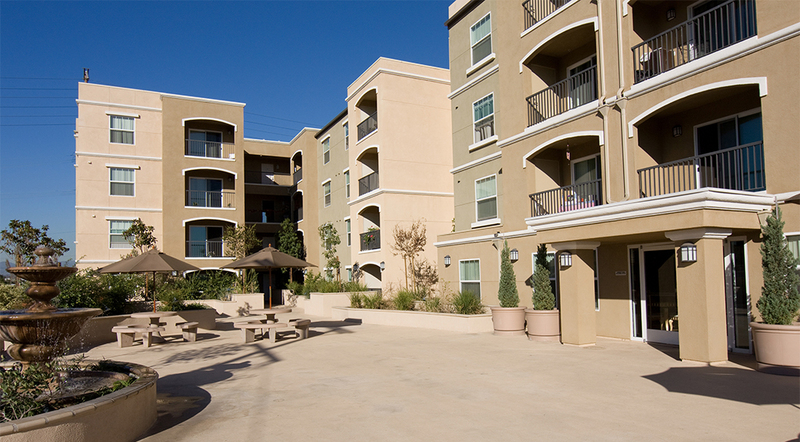 Maywood Villas was built on a 20,000-s.f. 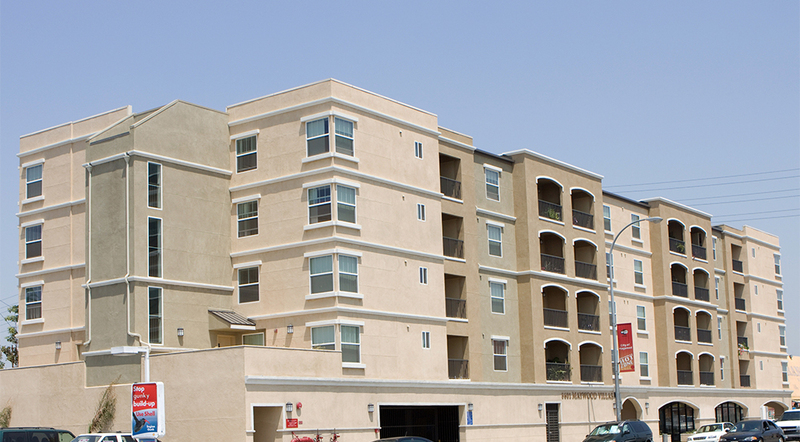 vacant site near urban amenities and ser- vices, helping to revitalize the area in the southeast Los Angeles county city and provide needed senior housing. 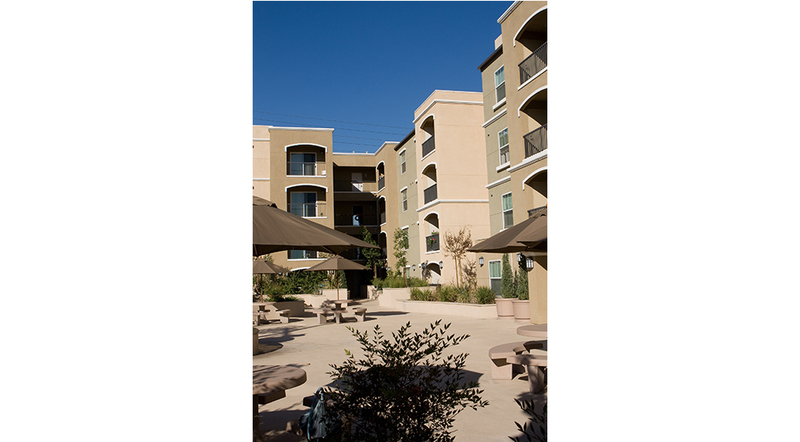 The community is funded by an allocation of $5,296,000 of 9% Low-Income Housing Tax Credits and institutional equity and debt. 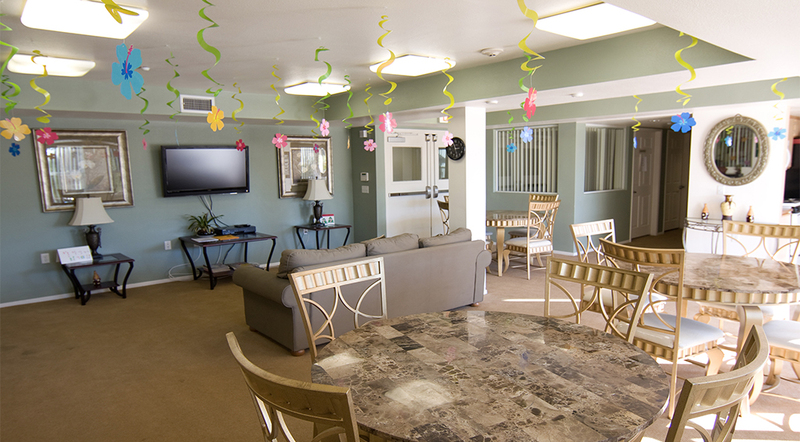 Amenities include a community recreation room and an interior green open court- yard. Space for three retail suites is provided at ground level, to provide convenient ser- vices for residents and add pedestrian ac- tivity to the street. 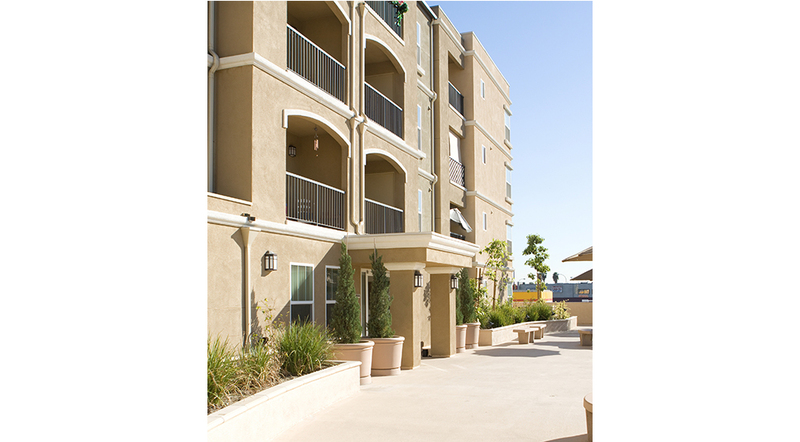 Construction is a Type V wooden structure with four levels of residential over a Type 1 concrete podium with secure at-grade parking for residents and commercial pa- trons. Occupancy began in 2007.